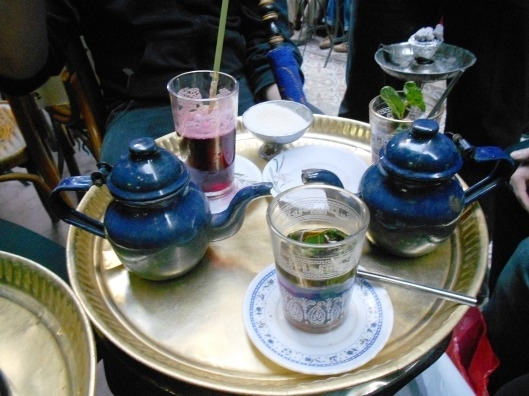 Sitting in crowded outdoor Cairo coffee shops, drinking mint tea and partaking of the occasional shisha, talking for hours while time stands still – this is the Cairo, Egypt coffee-house. People watching, politic talking, reminiscing and bonding, the evenings during our recent trip stretched long into the night. 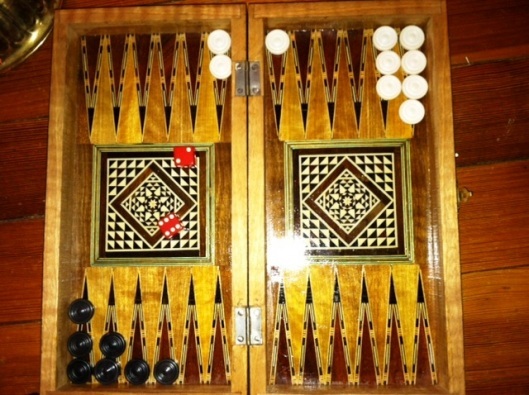 Occasionally Backgammon emerged and two of the family played while the rest of us looked on. It was as though time was nonexistent. We left when our eyes began to get heavy with happy exhaustion. The camaraderie and sense of belonging gave a comfort that many never get to experience and we didn’t want it to end. There is much the east can teach the west about community and belonging through these coffee houses. In the west coffee shops are often about providing tables and computer space to individuals rather than catering to groups of people. In the west there is a hurried atmosphere – you need to order quickly, your debit card at the ready so that in a flash you can pay and get out of line, scrambling to find a seat in the process. You have dozens of choices – triple shot, double shot; latte, espresso; hazelnut, vanilla; large, venti; medium, grande; small, tall – it can be physically exhausting if you don’t know how to speak coffee. 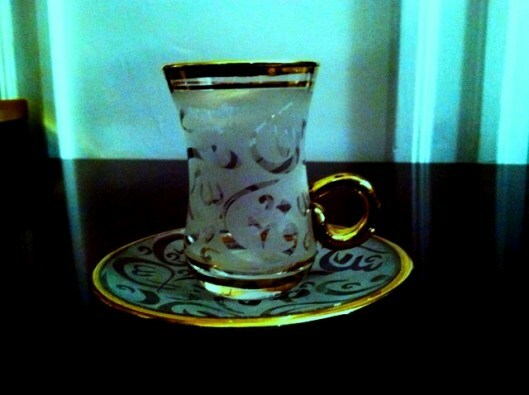 Although I love going for coffee in the United States, endless time I do not have and community I do not feel. In a University of California Berkeley study a few years ago, it was identified that three-quarters of the world operates on a family and friend system of support; the remaining quarter operates on an institutional system of support. It is not surprising that the United States falls into the latter category. There are many things that institutions can do for us, but they can’t provide the human connection for which we are hardwired. Family and friends give us this human connection and there is no place better to develop this connection than Cairo coffee shops. 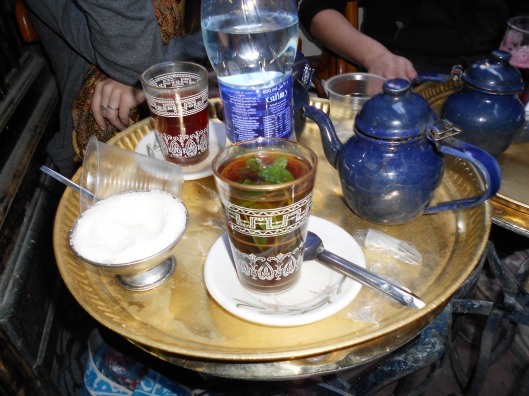 Cairo coffee shops, with their steaming hot tea, the bright green leaves of fresh mint peeking out of the cup, or ahwa masbut, heaps of coarse white sugar on the side to be sweetened to your liking (diabetes? who cares!) are poured into glass cups that show the beautiful colors of the beverage choices. There are plenty of refills and the warmth goes through body straight to soul. It’s a false illusion to be sure, but when one relaxed in the wonder of Cairo coffee shops, it’s easy to feel that the Middle East is at peace. 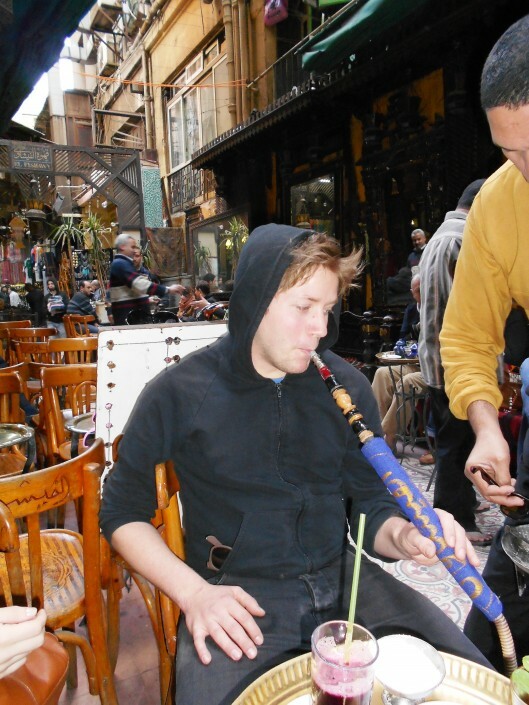 Despite being a public health nurse – shisha is an occasional guilty pleasure. Here is my son enjoying the occasion.